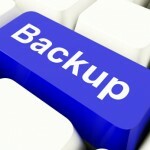 Do you ever back up your website? A website is a critical business asset and, with a few exceptions, it should be under constant development. We know that search engines favour sites with useful content and you continually add more content to keep one step ahead of your competitors. it took some effort to get it back again. After a big update, keep a copy of the site on your local computer, just to be on the safe side. It doesn’t take long to organise a back-up, but it does require a consistent approach. Make sure your Business Continuity Plan includes your website. If BlueTree hosts your website then you don’t need to worry. We back up our hosted websites regularly. If you have a website maintenance contract with us we can include back-up testing as part of the package. This entry was posted in Website design and usability and tagged back-up on March 13, 2012 by Mark Fielden.